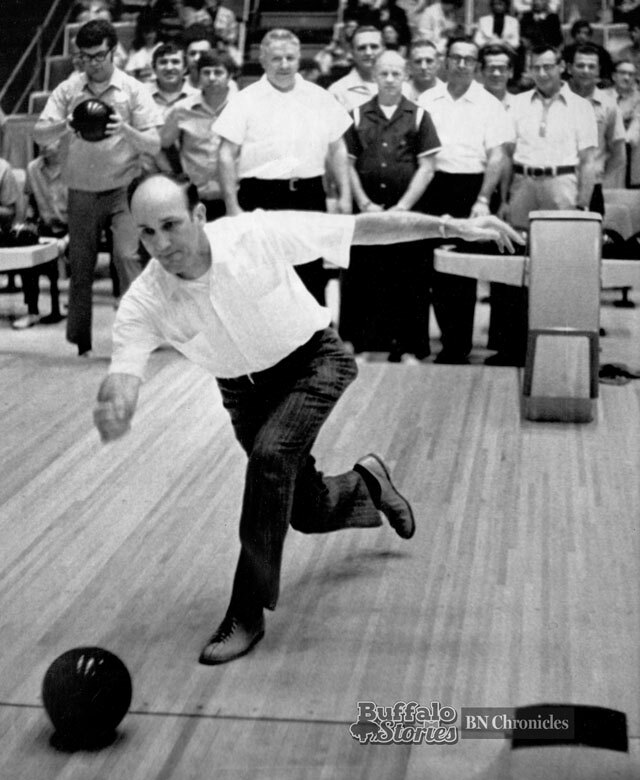 Stan Makowski was a pretty good bowler, and even as mayor played in tournaments for Tippie’s Social & Athletic Club. At one time or another during his 10 years at Allied Mills, he lost the tip of an index finger in an accident. Even as mayor, when the guys were playing softball and there were two outs on the board, someone would inevitably ask, waiting for him to show off the wound. Among the chorus of laughter every time was Makowski’s own laugh. A shop steward at Grain Millers Local 110, even as mayor (and until the day he died), he proudly carried his membership card in his wallet. He earned the card unloading hundred-pound sacks in the railyard at the grain mill. 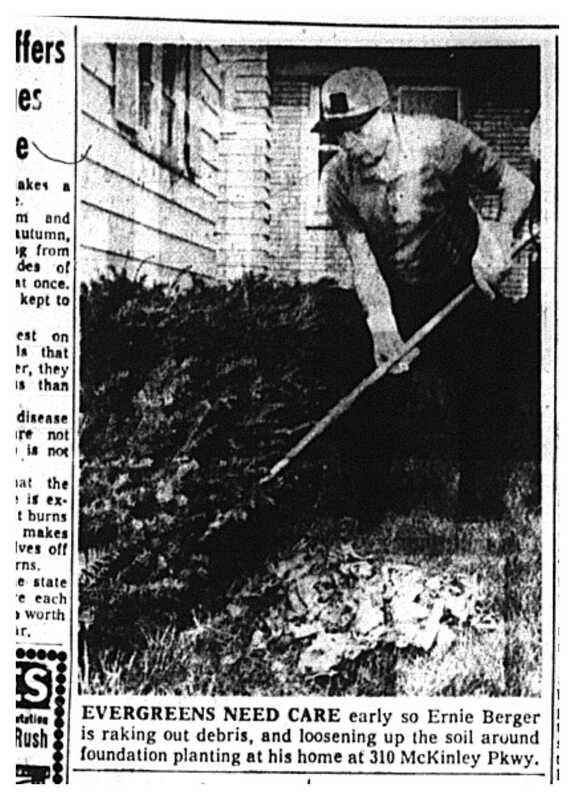 Mrs. Makowski used to sew an extra layer or two into the shoulders of his flannel shirts, because the friction of the burlap sacks flying next to his neck would burn holes down to the skin. “I’m not much of a speaker, but I am a worker,” Makowski said upon becoming mayor. He served three years in the Army during World War II, including eight months in Iwo Jima. So much about Stanley Makowski sounds like it could be ripped from the biography of just about any Buffalo son of Polish immigrants, member of “The Greatest Generation,” a man who never lived more than a block away from the house where he was born. 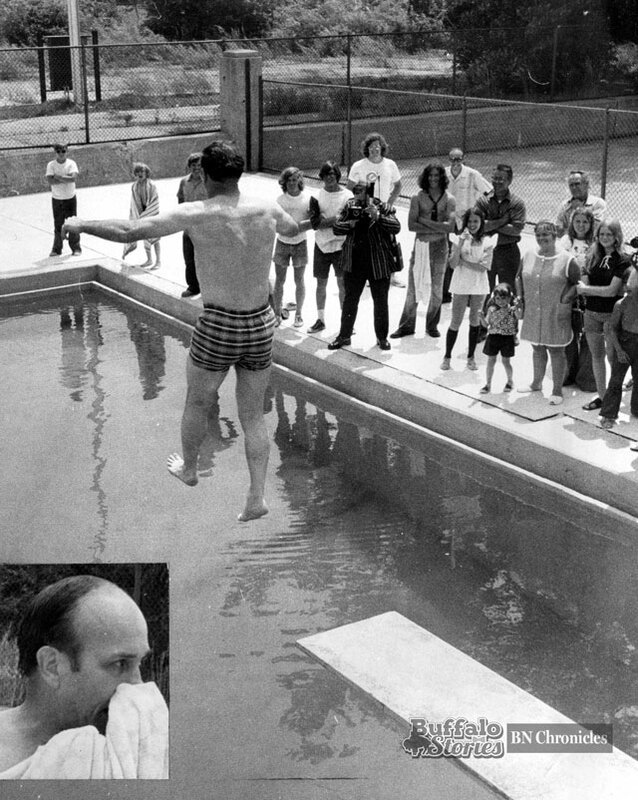 He was humble and mostly quiet — not prone to extremes and rarely yelled or swore. Everyone knew he’d been around, that he’d been in a fight or two, that he’d seen some things in the Army. People knew he was tough enough, and he didn’t feel the need to constantly tell people. He was happy to be part of the team, part of the group. He didn’t need to be noticed. Not the kind of guy who filled up a room when he walked in. He remembered his friends. He remembered where he came from. He was that same guy as mayor. 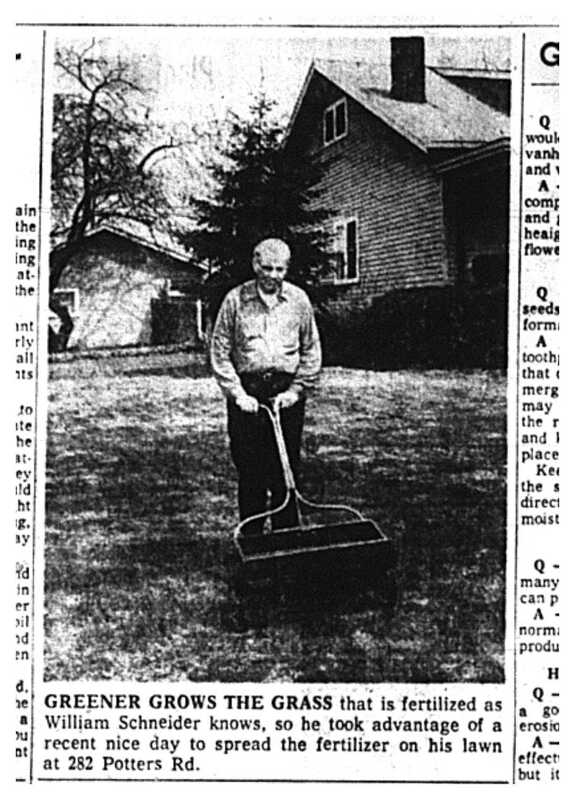 Those triple-shouldered shirts had long gone to the rag man, but when Mayor Stanley Makowski was home on the weekends — every weekend, he’d pull on the same pair of gray flannel work pants he wore when he was unloading grain off boxcars. 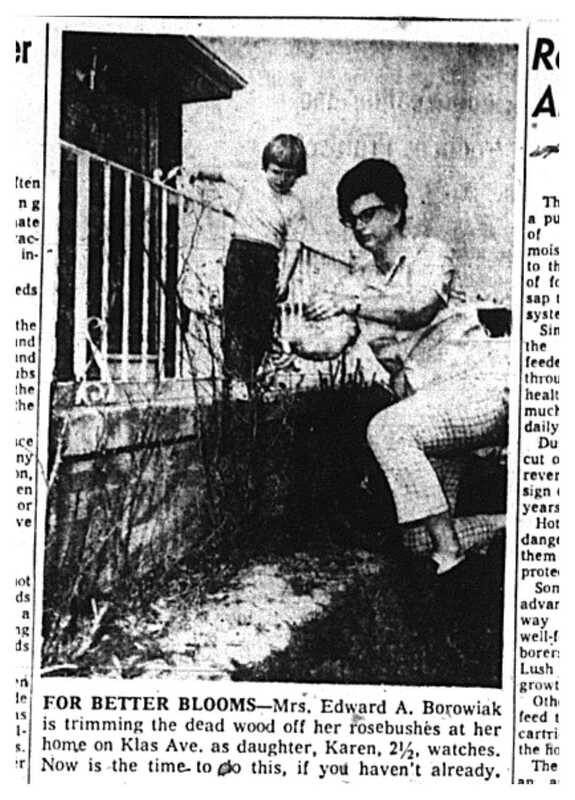 Like every other man in the neighborhood, the weekend was the time to re-putty the window or paint the fence. 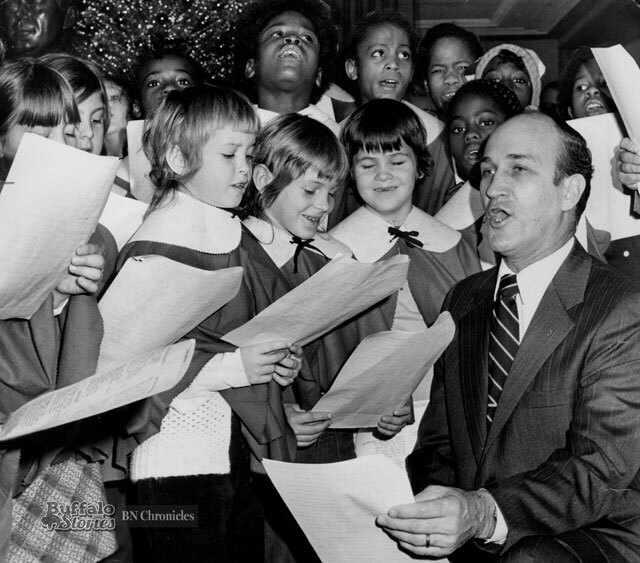 People he knew his whole life might call him “Mayor,” but just as many still called him Mack. That was true especially at neighborhood places like Ike’s on Van Rensselaer, where plenty of guys in The Valley would walk to get their hair cut. Next door to Ike’s was Tippie’s — where most of those guys, Mack included, would first show off their new haircuts and then catch up with the boys over a beer or two. He was just a neighborhood guy. It might have been that the thing he liked most about being mayor is being able to help regular folks and make City Hall work for them. 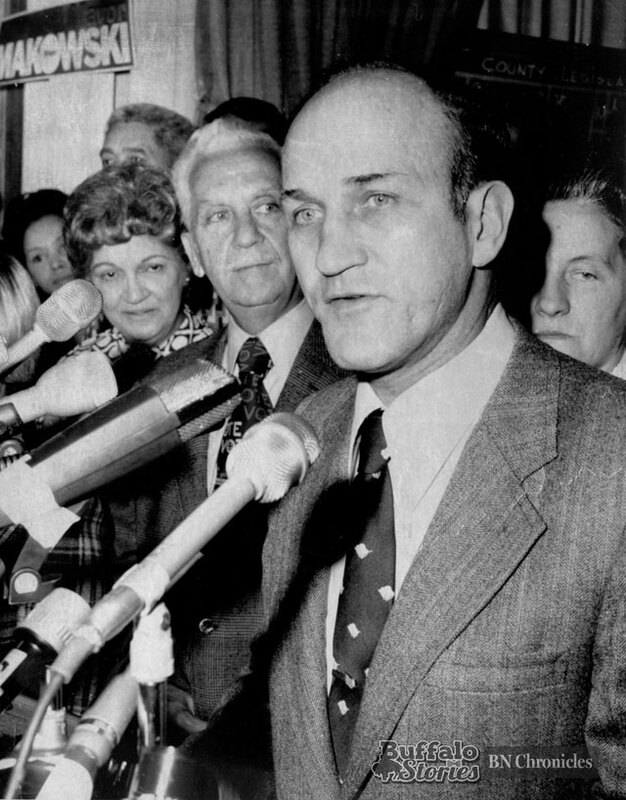 By the time Makowski had become mayor in 1974, the economic and psychological slide that city leaders had been white-washing for decades were becoming difficult to slough off. Buffalo’s industrial decline seemed to burst out of control. His first budget as mayor called for belt-tightening that translated into more than 350 jobs cut from City Hall. 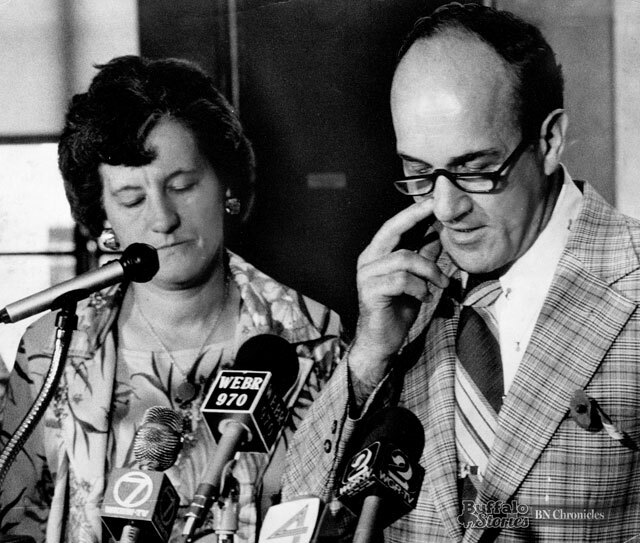 There was a very tangible impact on those getting pink slips, but there was an emotional impact on Buffalonians across the board. If anyone saw where Buffalo was heading early on, and worked to avoid it, it was Makowski. 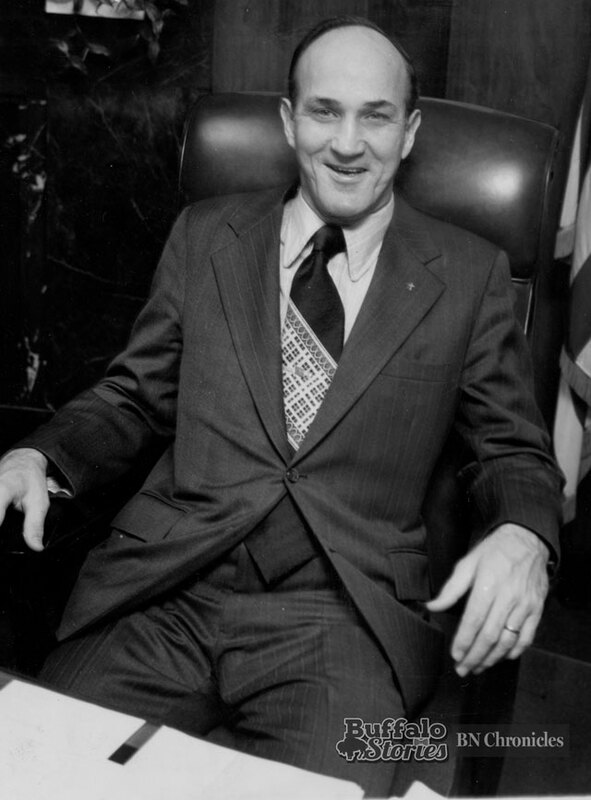 His career in elected office began in 1955 when he challenged the endorsed Democrat for a seat on the Erie County Board of Supervisor s— the forerunner of today’s county legislature. 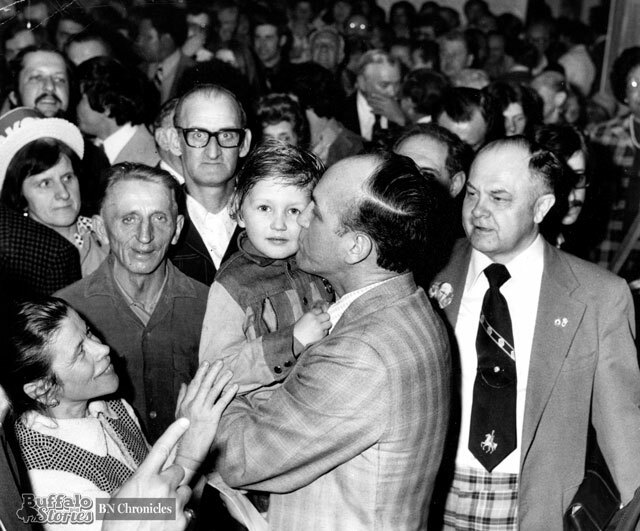 He won by four votes with calls for efficiency in government. 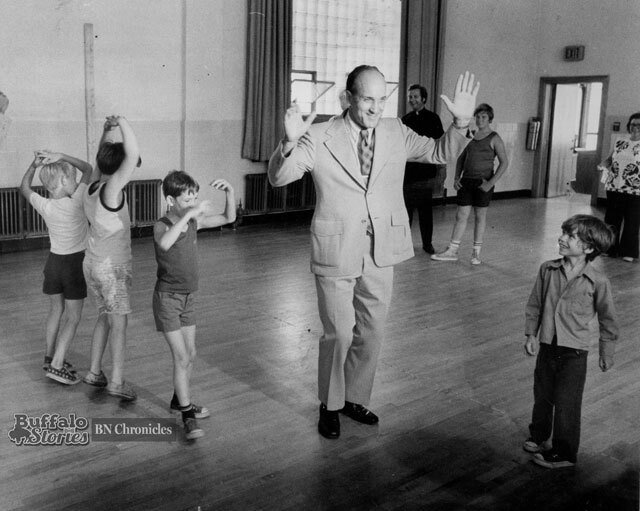 His earliest fights in government — in 1956 — were trying to convince the city and suburbs to begin implementing baby steps towards a far more efficient metropolitan-style government. “We must think in terms of a metropolitan region when we are making future plans for the county,” Makowski said when speaking of roads, sewers and water. 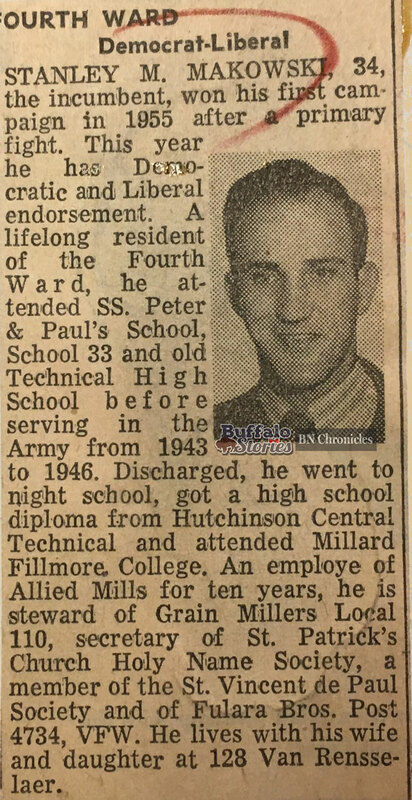 Before the end of the 1950s, he’d become Buffalo’s youngest Councilman. 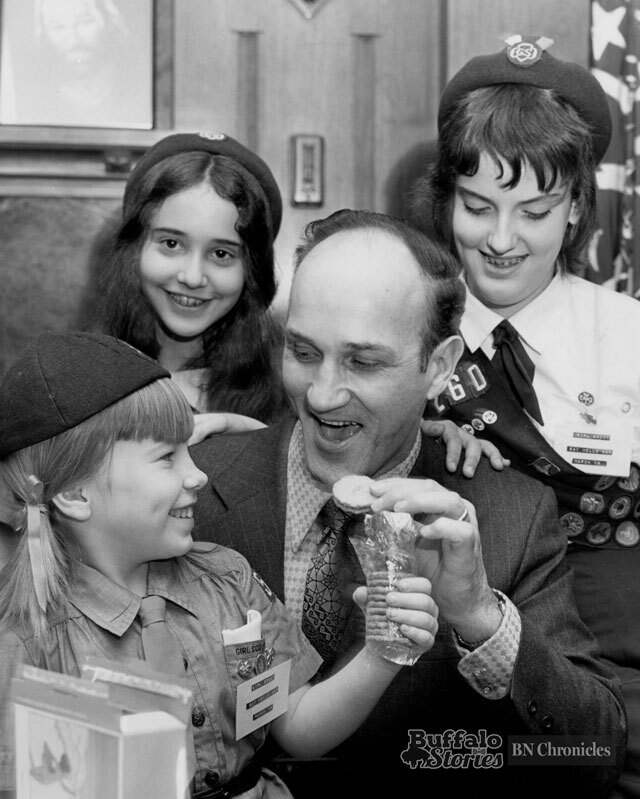 In 1957, his calls for a countywide, unified effort in snow removal fell on deaf ears. 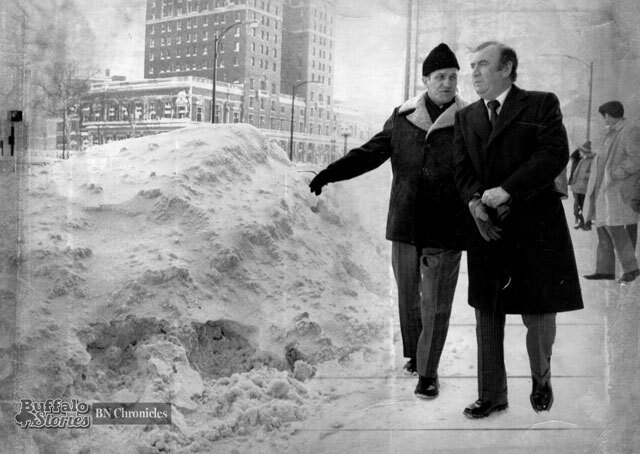 Twenty years later, Makowski was mayor during one of the seminal moments in Buffalo’s history — The Blizzard of ’77. A News poll at the time showed that a majority of Western New Yorkers thought Makowski did at least a fair job in handling the unprecedented natural disaster, but others said he was indecisive. Particularly since it was shortly after the storm he decided not to seek re-election, Makowski’s name gets tossed around like one of those hundred-pound sacks of grain as somehow “responsible” for the unpredicted, unparalleled onslaught of Mother Nature and the negative attention Buffalo received afterwards. It seems to be human nature to need a culprit, or to boil history down to a sentence or a simple idea, but it bothers most of those who were closest to him to hear Makowski being “blamed for the blizzard,” mostly because there were few Western New Yorkers who took the inability to get people the help they needed more personally than Makowski. The blizzard hurt him personally. He struggled with the fact that there was no more he could do. Fire engines were frozen and even the National Guard could only work in half-hour shifts in the cold, but that people were suffering and he couldn’t end it affected him deeply. He openly admitted he was probably a little too sensitive to criticism and any inability to meet the needs of the people. It weighed on him to the point where he was ready to walk away from City Hall, and go back full time to that simpler life he never really left in the first place. A final straw might have been a picket line set up outside a fundraiser. As a union man himself, Makowski never begrudged any worker the right to picket — but as a family man, wanted to protect his small children from any abuse that might be sent his way. 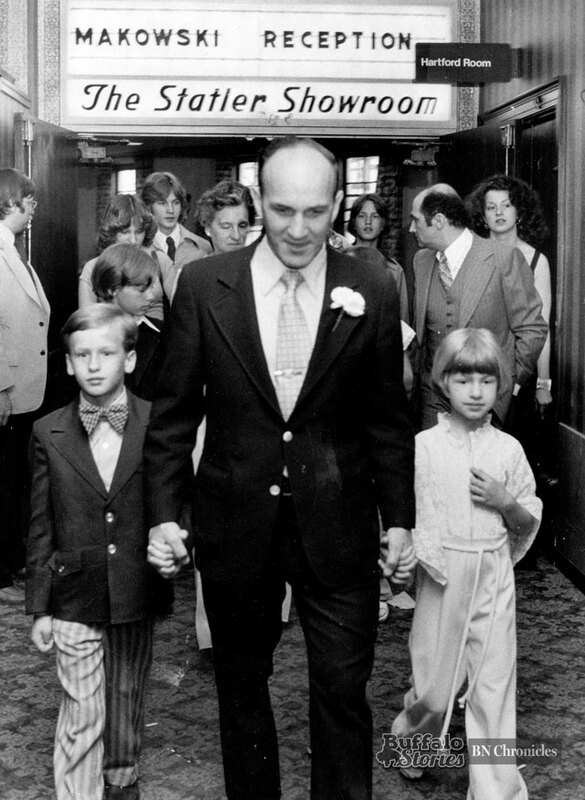 When the mayor, his wife, and their eight kids entered the Statler by a side door, several protestors saw it — and lobbed some choice words at the mayor in ear shot of the smallest of the brood. 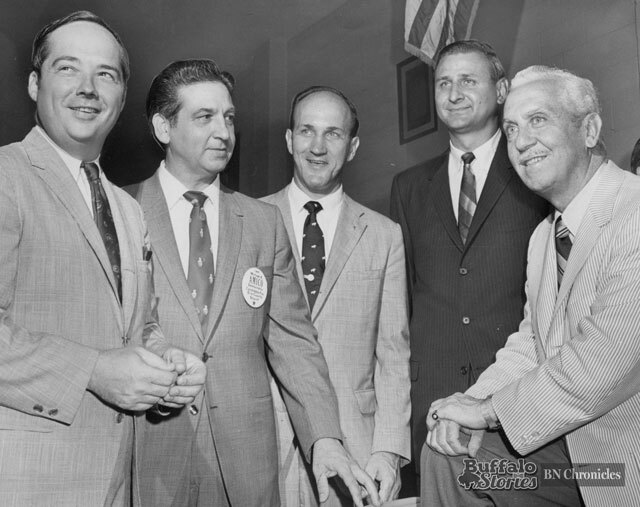 At the end of his time as mayor, a News editorial said Makowski had “been hurt by his own nice guy” image, but it wasn’t an image. 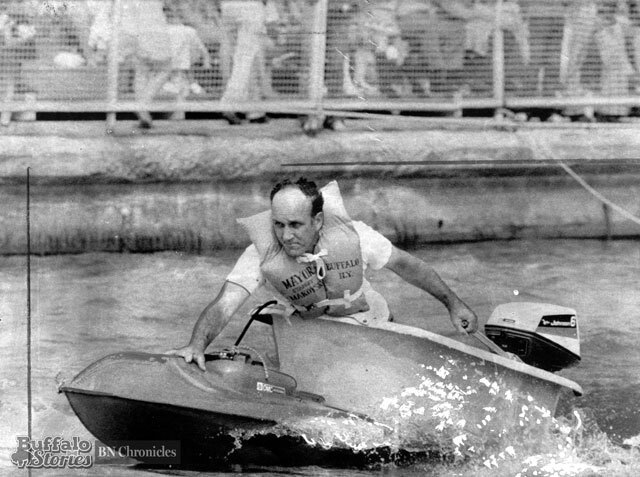 It was the man, in City Hall, in the grain mill, at Tippie’s Social Club, in the home he lived in when he died, which was next door to the home in which he was born. 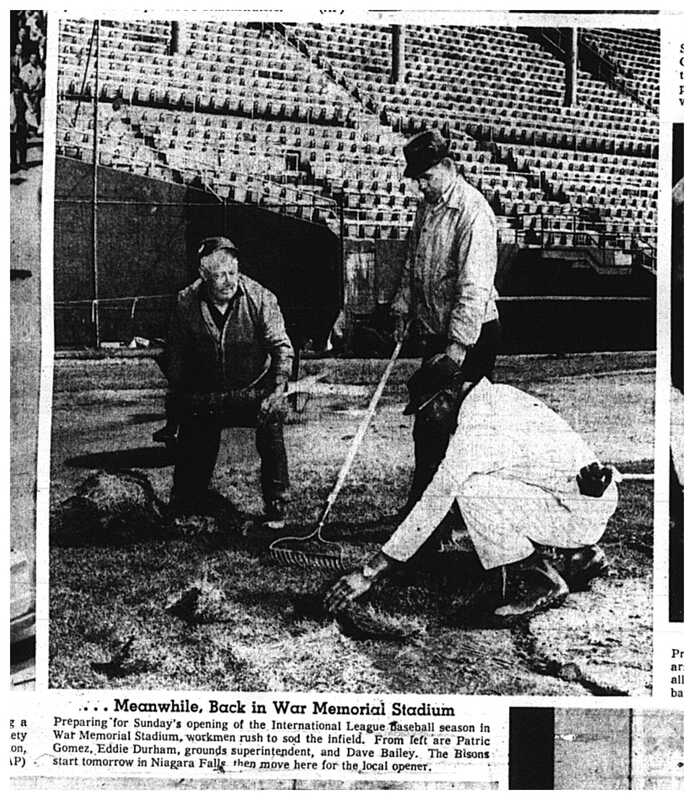 Everyday Buffalonians, groundskeepers at War Memorial Stadium, and the mayor (helped by a future mayor) were featured getting outdoor spaces ready for summer in The Buffalo Evening News on April 25, 1969. War Memorial was the home of the Bisons from 1960 to ’69 and from 1979 to ’87. 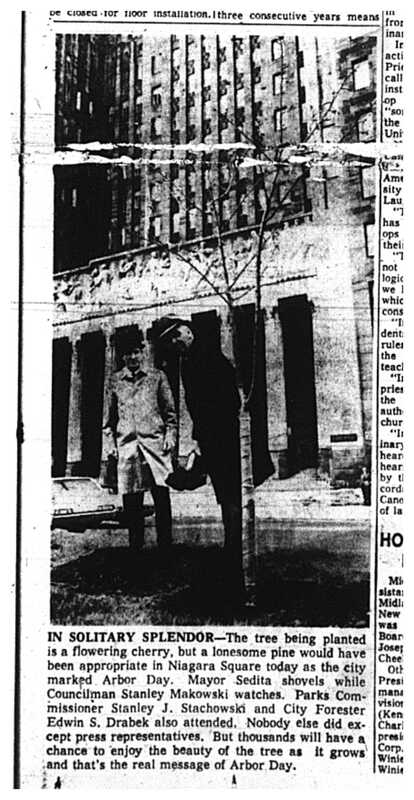 Mayor Frank Sedita and the man who followed him as mayor, Stanley Makowski, planted a tree in front of City Hall in celebration of Arbor Day.